President, Delaware Valley Rare Coin Co., Inc.
Richard Weaver is well known in the Delaware Valley area for his expertise in American coinage & Bullion items from around the world. Having been brought up in the coin business Rich has always been exposed to coins and would travel around to various coin shops and shows with his father, also named Richard Weaver, who was a beloved and respected dealer in his own right. Rich began his full-time career in coins in 1983 and has proven to be a valued resource for collectors and investors whether they are buying or selling coins 7 precious metals. From his humble beginnings in a 320 square foot store to now having multiple locations, DVRCC is a local company with a national footprint. Over the years Rich has discovered some true numismatic rarities. Only known 1786 New Jersey 3 Pound Colonial Note…. just to name a few. Rich has been called on numerous times by various agencies to give expert opinion and testimony regarding rare coins & precious metals. United States Homeland Security has called on him to verify authenticity on a number of bullion related items and Rich has been contact by several news agencies to give insight on numismatic & bullion related coins and trends. 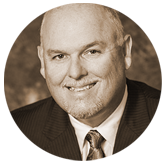 Rich has been a member of the PNG since 2004 preparing to serve his 4th term on its board of directors and is it’s current vice-president. Rich is also a platinum charter member of the PNG-APMD network. As a Platinum member he assures his clients that they can have a real sense of security dealing with a PNG Accredited Precious Metals Dealer. About Delaware Valley Rare Coin Co., Inc.
As one of the most trusted names in rare coins, Delaware Valley Rare Coin Company has been the numismatist’s preferred resource for 50 years. We are proud of our roots in the Delaware Valley region where we first opened in 1969. Located in Broomall, Pennsylvania, our close proximity to Philadelphia, the Main Line and Wilmington, Delaware have enabled us to meet the numismatic needs of a large geographic region. The Delaware Valley Rare Coin Company is an active participant in the marketplace and a respected resource on a local and national level as well. We have a considerable roster of clients, from all over the world, who are interested in purchasing rare coins and currency, and our buyers travel throughout the United States searching for rare coins and related items to meet a continually growing list of requests. DVRCC is also one of the Royal Canadian Mints DNA dealers here in the United States. If you have bullion, rare coins or currency that you would like to have appraised and/or purchased, please contact one of our specialists for further information. Professional Appraisal of rare coins, currency and other related items. Purchasing everything from desirable single coins to large estates and collections. Real-Time Pricing up-to-the-second market pricing on Gold, Silver, Palladium and Platinum. Consultations and expert testimony for private individuals as well as banks, financial institutions, government agencies and legal firms. Fast, Personalized Service whether you want to buy or sell coins or currency, we’ll take care of your needs quickly and professionally. A Staff of Numismatic Professionals ready to serve you. Our staff includes members of the Professional Numismatists Guild, Inc., The American Numismatic Association and many other numismatic organizations. We also support the Industry Council For Tangible Assets. Delaware Valley Rare Coin Company utilizes a proprietary, custom-developed system to support the many services that we provide. This often imitated, never duplicated, state-of-the-art system is one of the best in the industry and it plays an important role in helping us exceed our client’s expectations. 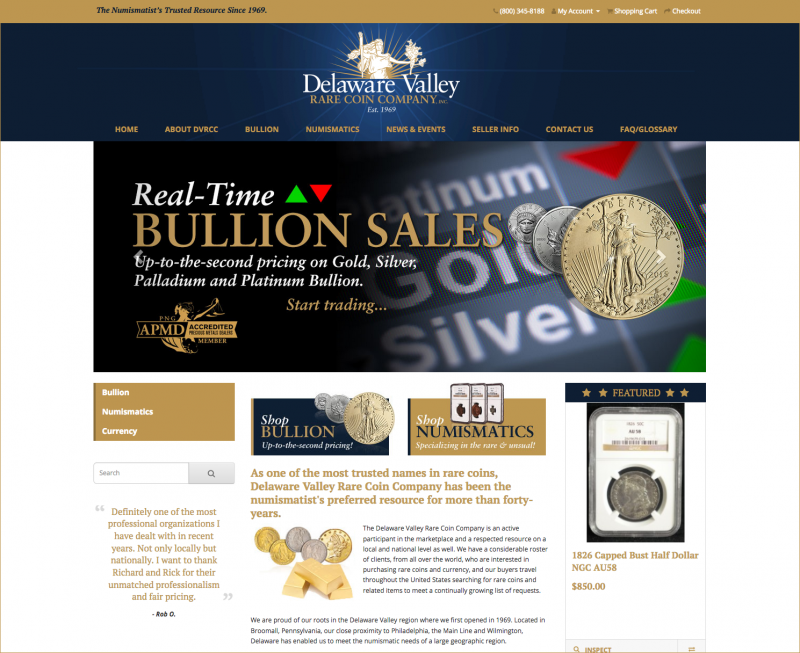 Delaware Valley Rare Coin Co., Inc.
Visit Delaware Valley Rare Coin Co., Inc. If you live in the vicinity, or are visiting the Greater Philadelphia / Wilmington metropolitan area, please stop in and see us. Our gallery hours are Monday through Friday from 9:00am to 5:00pm. We are also open Saturdays by appointment.